The Baltimore Ravens outmatched the Cleveland Browns in nearly every dimension. The team has a better roster, more talent, and more experience. Despite Baltimore’s strong favorability to Cleveland, the Ravens were unable to defeat the Browns on Sunday. 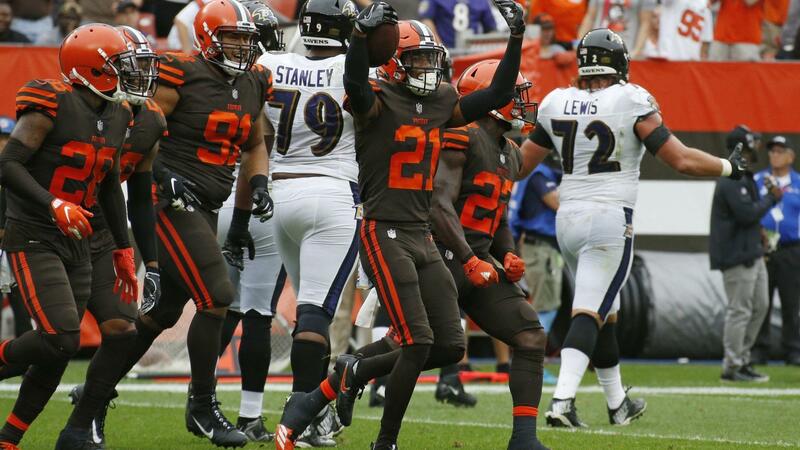 While the Browns earned the victory, the Baltimore Ravens did more to give the Browns the victory than the Browns did to seize it. Perhaps the Ravens underestimated the Browns. After all, Cleveland was the laughing stock of the league, a team that had only beat the Ravens twice under John Harbaugh. Whatever the cause, ultimately, it was the Ravens offense that cost Baltimore the game. The Ravens were visited by three ghosts on Sunday. The ghosts of Ravens past, Ravens present, and Ravens future. Like the fabled Ebenezer Scrooge, the Ravens were in for an alarming revelation. The ghost of Ravens past brought the Ravens back in time to demonstrate the forgotten mistakes of the franchise. The spirit showcased a downtrodden offense, unable to score even one touchdown. The ghost harkened back to Baltimore’s greatest shortcoming on offense, the inability to rely on wide receivers. Michael Crabtree’s string of drops cost Baltimore drives, and ultimately the game. If he had only caught his dropped pass in the end zone late in the 4th quarter, the Ravens would have won the game. Chris Moore in overtime caused Alex Collins’ first down run to be called back, as he committed an illegal block in the back. That run placed the Ravens in game-winning field goal range. Like years past, the “if only” scenarios continue to haunt Baltimore. The ghost also reminded the Ravens of what kind of purgatory the team can fall back into. In previous years, the Ravens suffered from poor quarterback play and the lack of a talented running back. Against the Browns, Joe Flacco visibly struggled. His frustration was best exemplified by a blunder at the goal line. Flacco targeted Nick Boyle, but an inaccurate and tipped pass was launched from his arm. That pass was intercepted. The Ravens also saw apparitions of a fruitless running game, burdened by the inefficiencies and turnovers. After a great start, Alex Collins seemingly disappeared from the field. Buck Allen took the helm but fumbled the ball during a crucial point in the game. The ghost of Ravens present brought the Ravens to realize the current pressing concern about the offense. The start of the season was marked by the efficiency and achievement of the Ravens offense. Baltimore started the year by going into the red zone twelve times. Of those twelve trips into the red zone, Baltimore scored a touchdown on all twelve. The Ravens have never had any semblance of success seen like that in the first few weeks of the season. This unprecedented success propelled the Ravens to a great three win, one loss record to start the season. Since the second quarter of last Sunday’s game in Pittsburgh, however, the Ravens have not scored a touchdown. This development has become the single most important issue facing the Ravens offense. The defense is able to keep the team in games, but the offense must be the one to seize victory. The Ravens must change their ways, and correct the fatal issue. It is imperative to not only the outcome of this season but of seasons to follow. If Baltimore ignores the warnings of the ghost of Ravens past and Ravens present, then the team will inevitably fall into the nightmare presented by the ghost of Ravens future. The ghost of Ravens future capped the journey off with a horrifying vision of what may come. The outcome of the game served as that vision. The Ravens lost to the Cleveland Browns, and if the team does nothing to correct the mistakes of the past and present then this will be their future. The Ravens will be doomed to perennial losses to not only the Cleveland Browns but to the Steelers and Bengals as well. It is unimaginable that the Ravens will not heed the warnings of the ghastly apparitions that took form in the offense. The Ravens, after most defeats like this, reflect on themselves and work to fix the troubles hindering them. The Ravens expect to turn around quickly, and perhaps this year at Christmas time, the Ravens will punch their ticket to the playoffs.